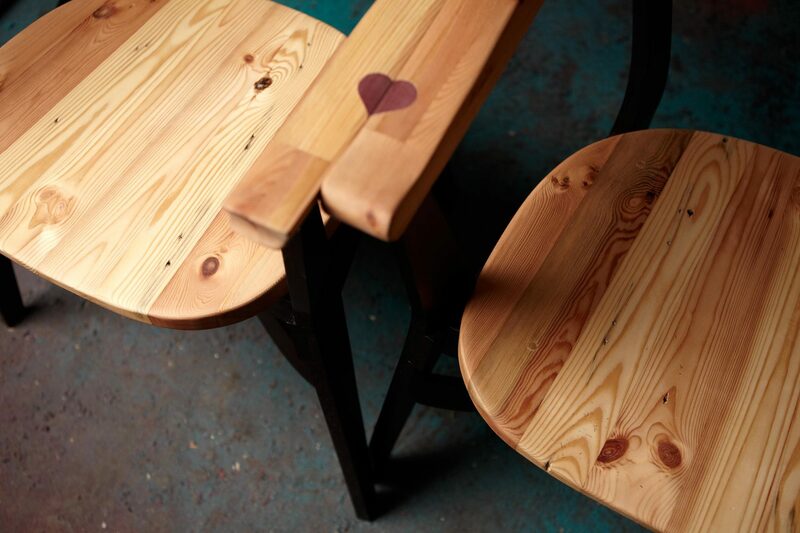 The Love Seat is a pair of chairs designed for two lovers to converse, face to face and within arm’s reach. 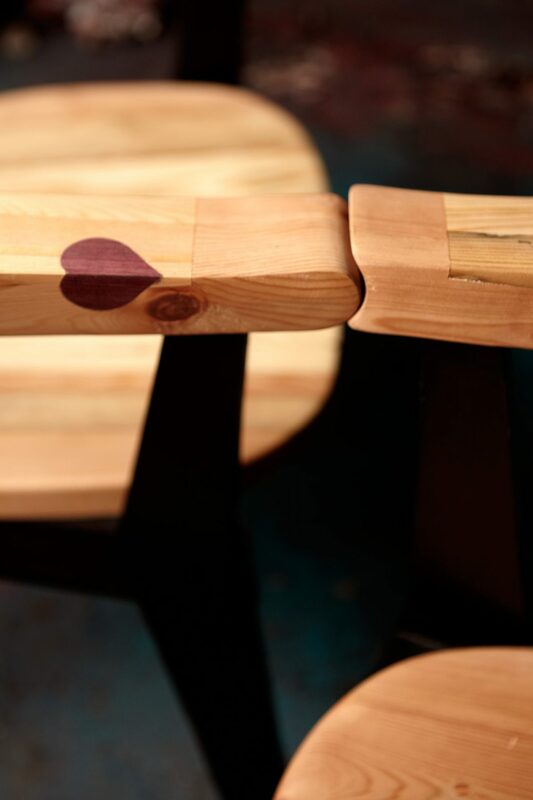 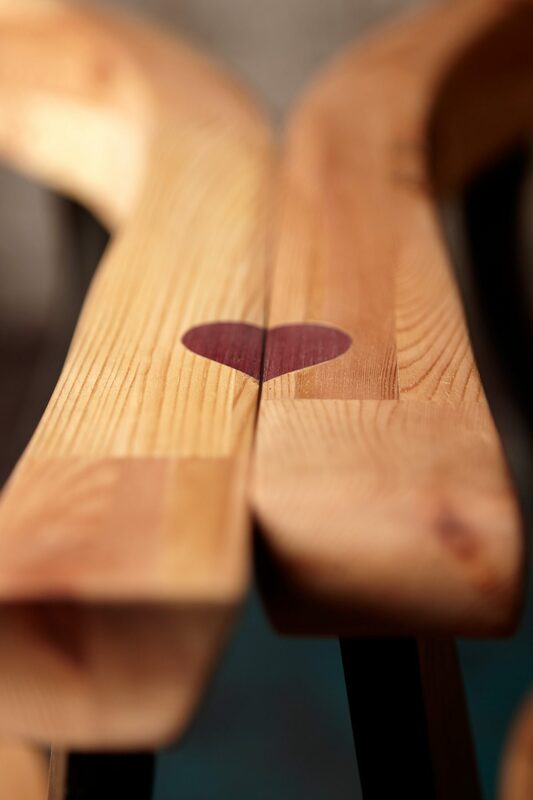 The seats can be placed side by side to reveal an inset heart detail or facing each other to reveal a snug armrest joining detail. 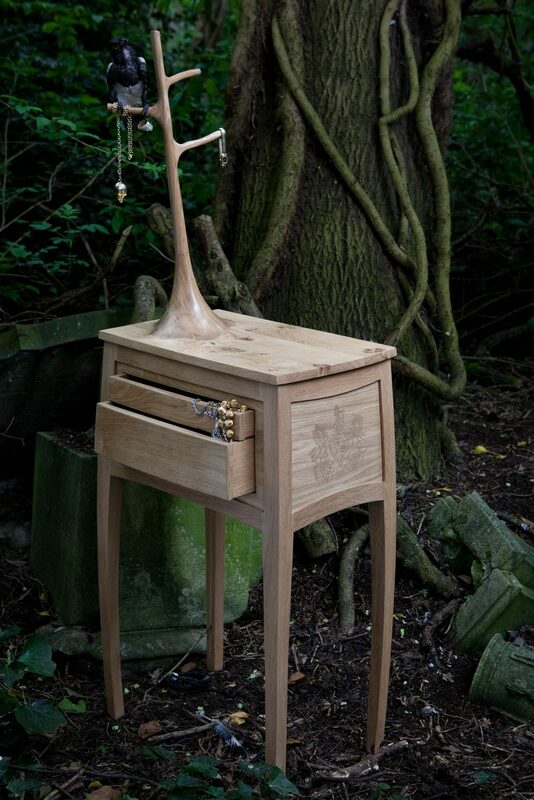 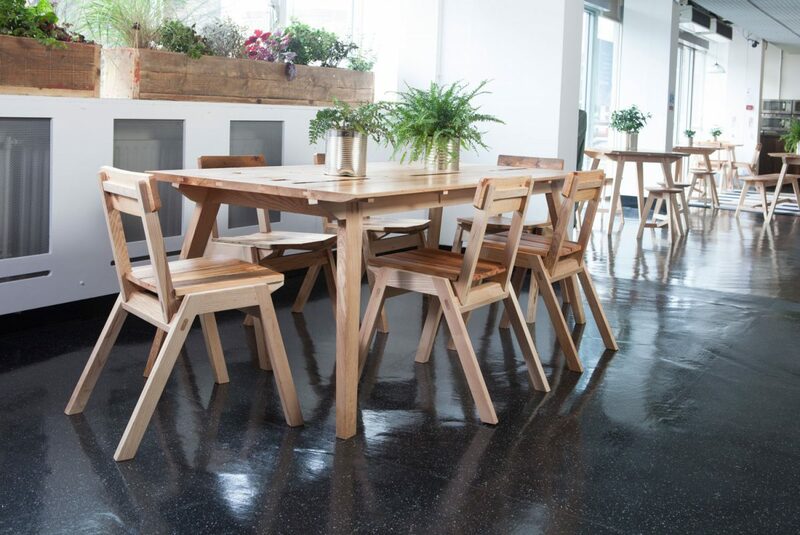 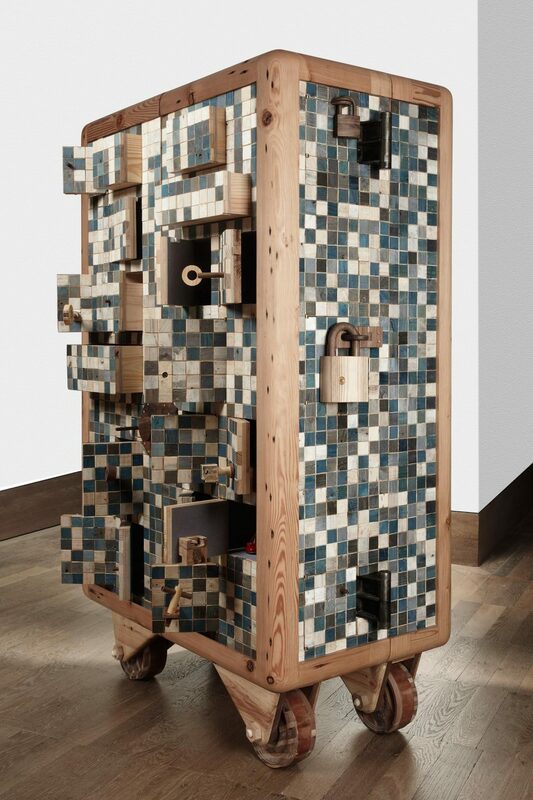 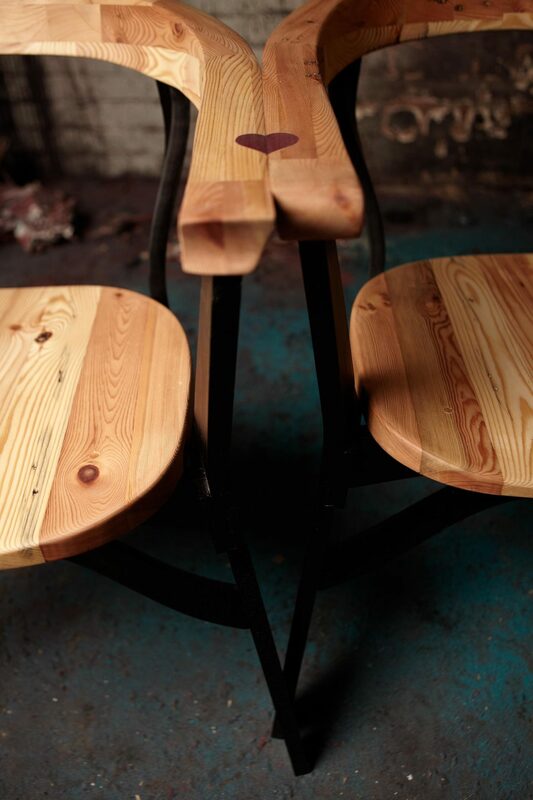 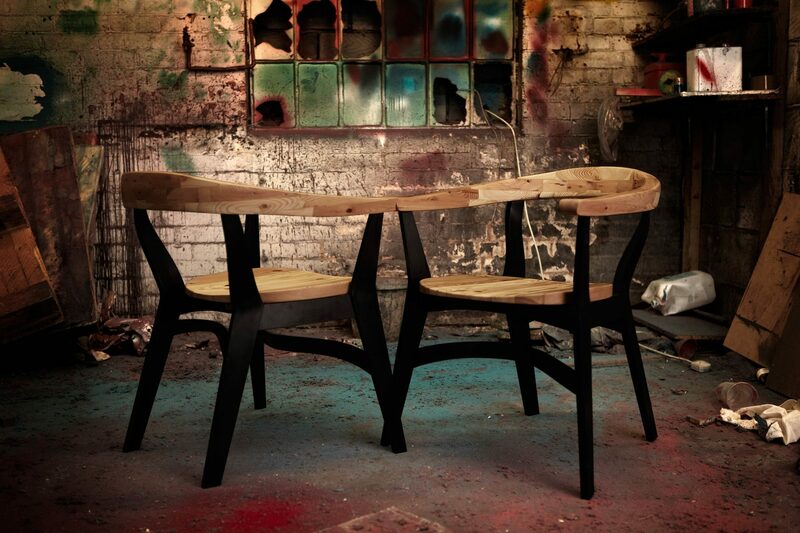 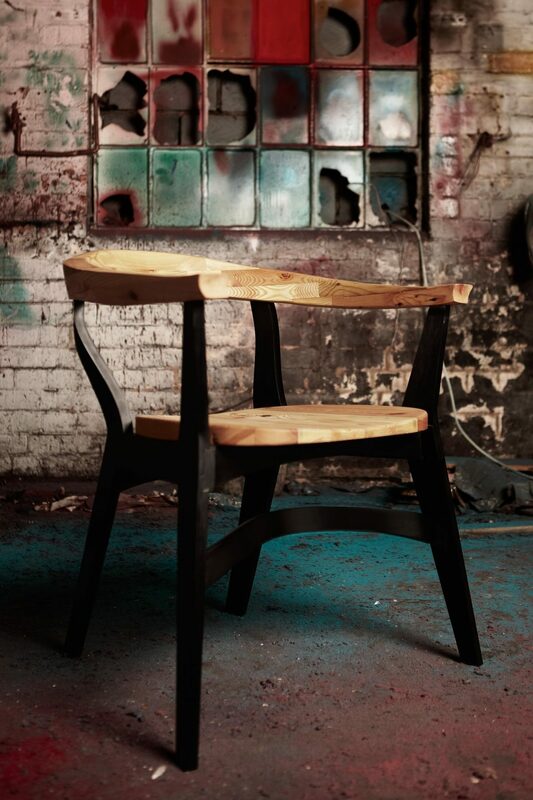 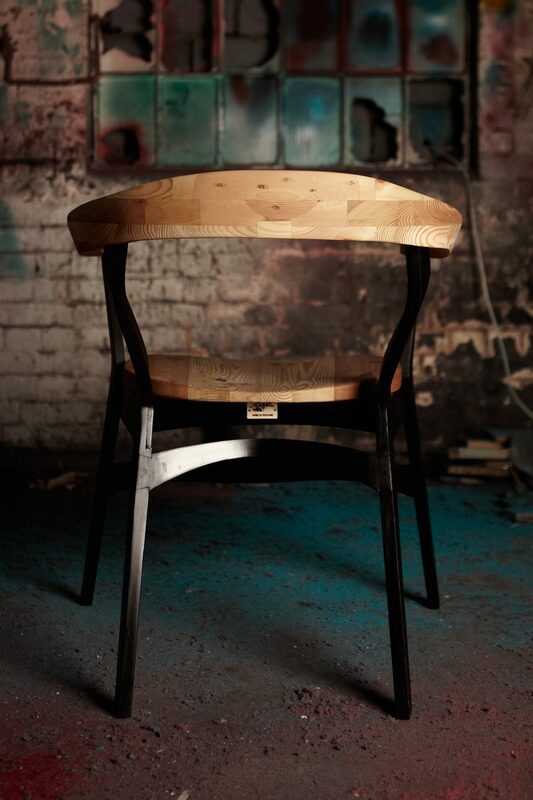 The are constructed from reclaimed timber and black-stained plywood.